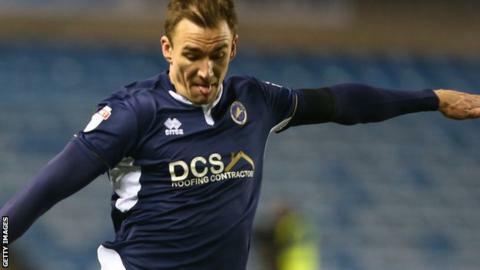 Millwall midfielder Jed Wallace has signed a new "long-term contract", although the London club have not disclosed its length. The 24-year-old has been with the Championship side since June 2017, having initially arrived on loan from Wolverhampton Wanderers in 2016. "In the summer the club made it clear that they wanted me to be settled here," he told the club website. "I love this club. I love playing here. It's a great area for me to live in." Wallace continued: "I know the manager well, I feel like I know the supporters well and I feel like they know me well, so it's a win-win. "I want to be playing my football at Championship level, and to do it with a club like Millwall is perfect."